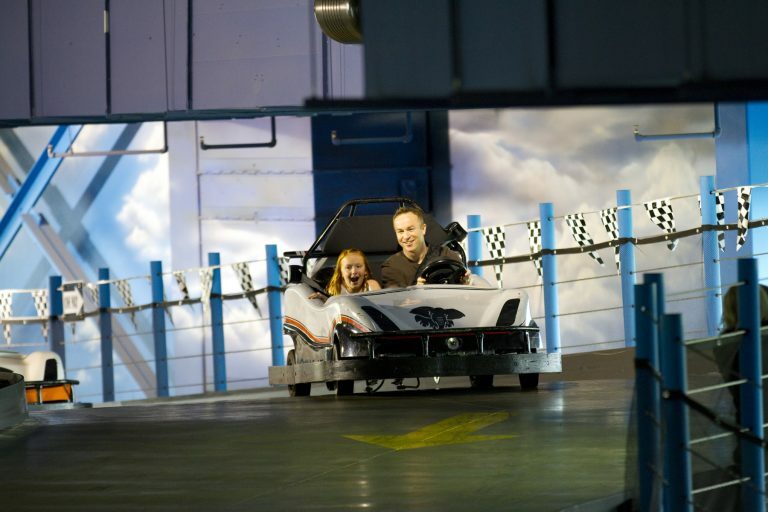 Click on a thumbnail to view or download the image. 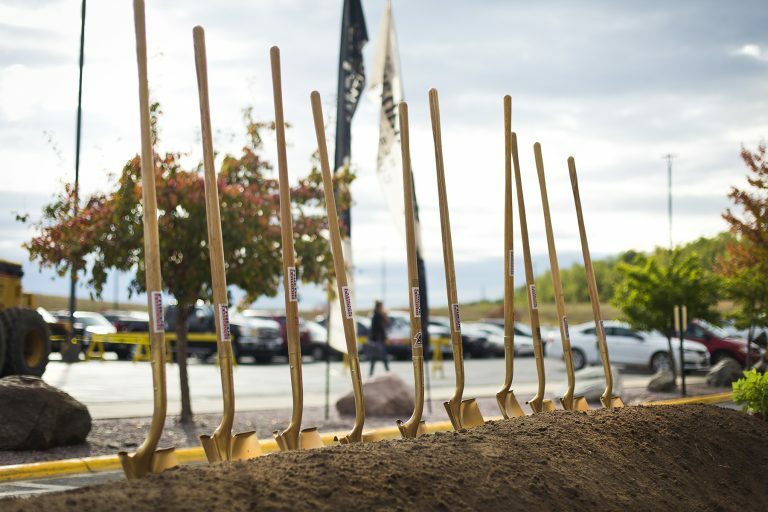 The Nelson family breaks ground on Kalahari Resorts and Conventions in Wisconsin Dells on Oct. 5, 2017 for the 112,000-sq-ft. expansion that will include a 52,000-sq-ft. ballroom and ten additional meeting rooms. 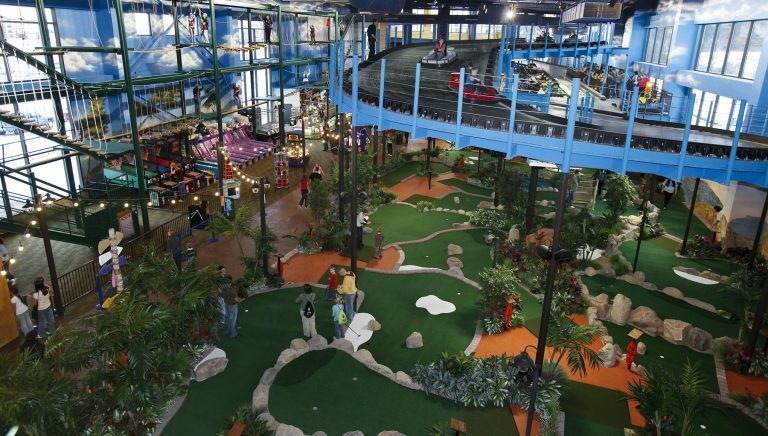 The expansion is slated to open Sept. 2019. 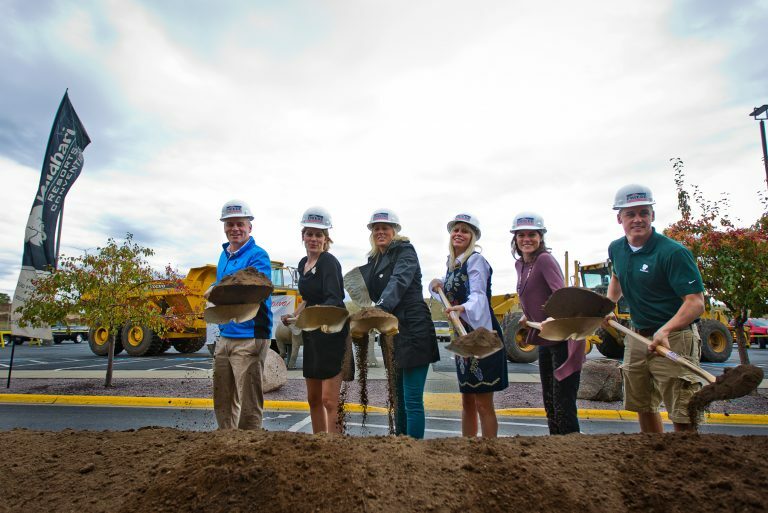 From Left: Travis Nelson, Ashley Nelson, Shari Nelson, Natasha Lucke, Alissa Gander and Todd Nelson Jr.
Kalahari Resorts and Conventions in Wisconsin Dells breaks ground on the 112,000 sq. 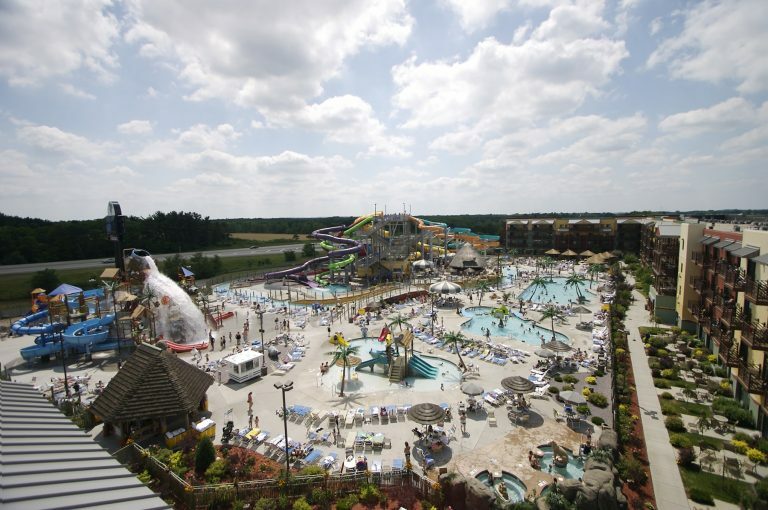 ft convention expansion that is slated to open Sept. 2019. 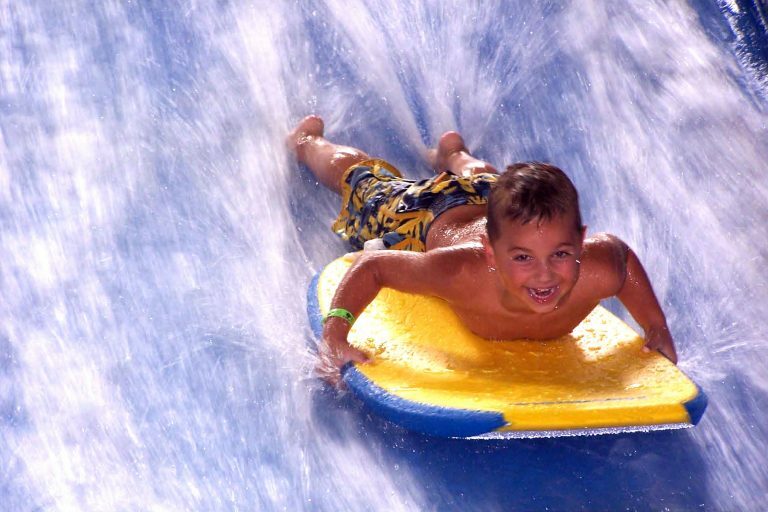 Guests enjoy the thrill of boogie boarding on the FlowRider® attraction. 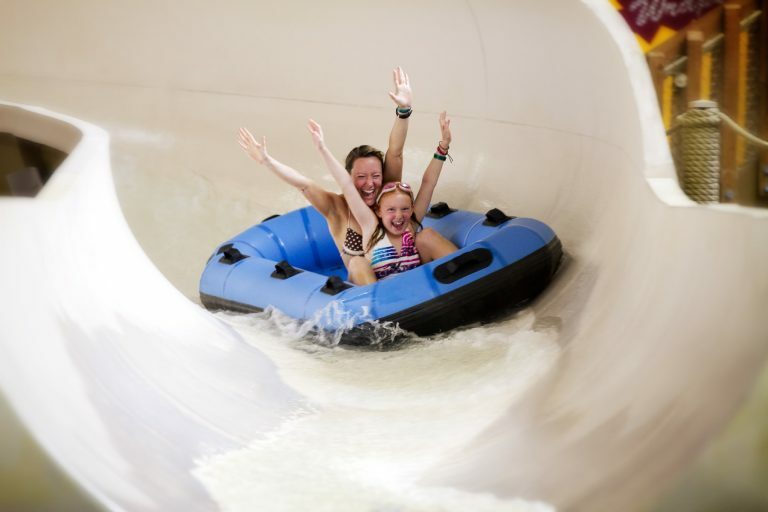 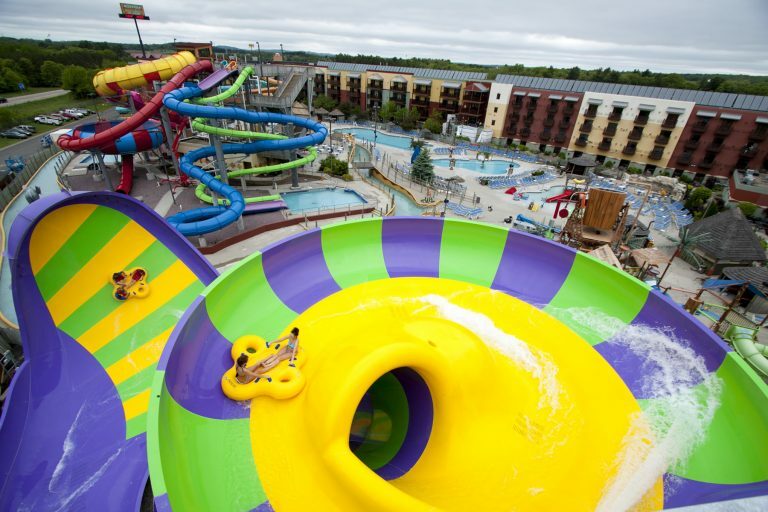 Now open, Kalahari Resorts and Conventions in Wisconsin Dells added “The Smoke That Thunders” raft ride to its outdoor waterpark this year. 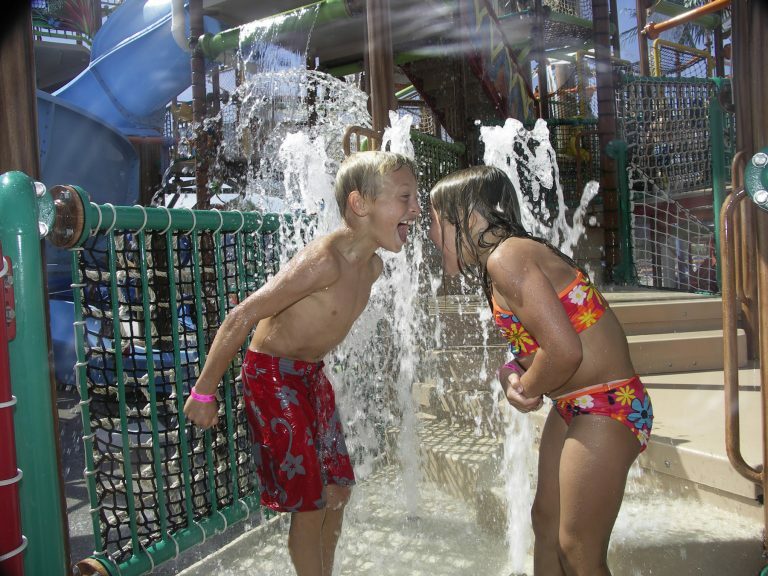 Kalahari guests play in the 77,000-sq. 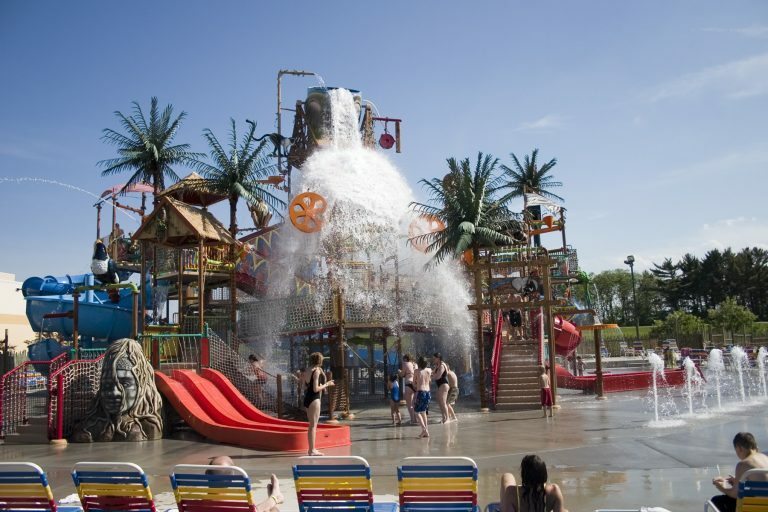 ft. outdoor waterpark on the Splashdown Safari feature, which showcases 125 mechanical features that are hand-operated by kids. 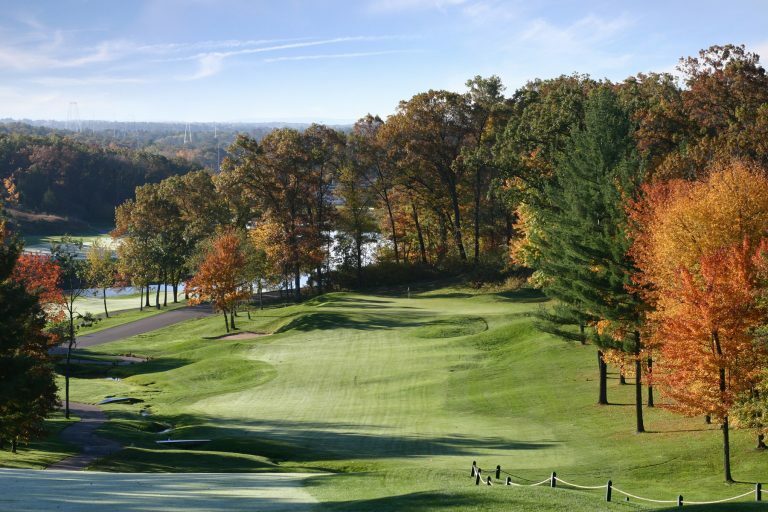 Carved into the Wisconsin Dells countryside, Trappers Turn offers breathtaking course views. 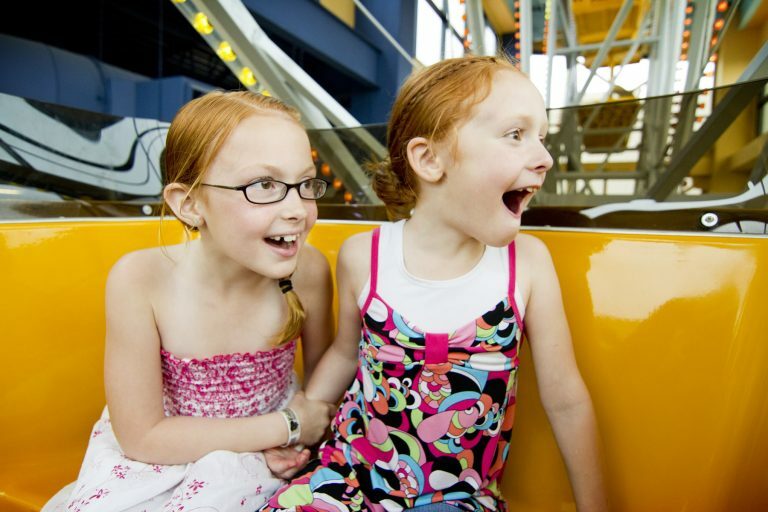 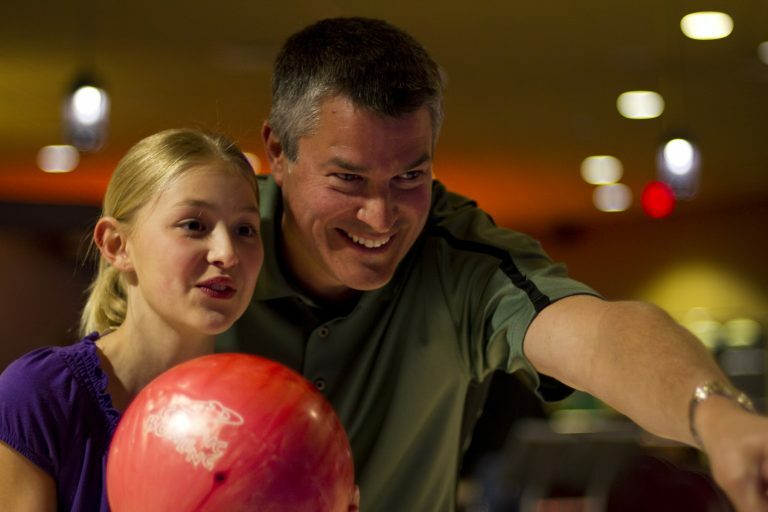 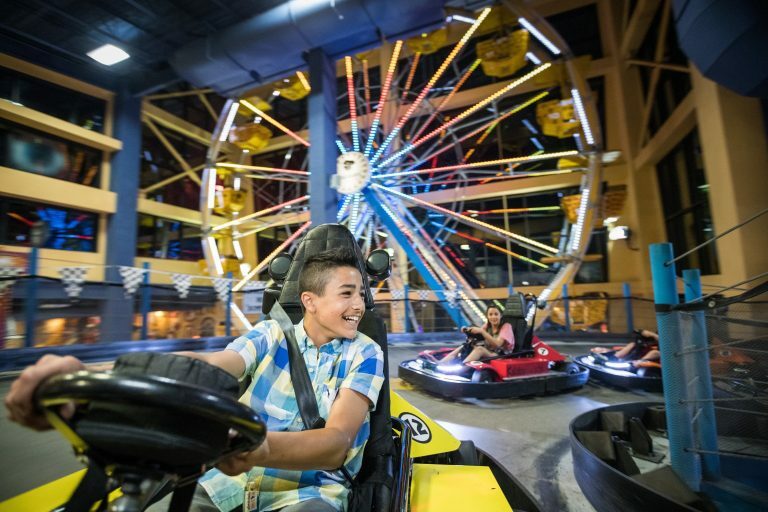 Guests enjoy thrilling rides at Tom Foolerys Adventure Park – 100,000 sq ft. of indoor family fun and excitement. 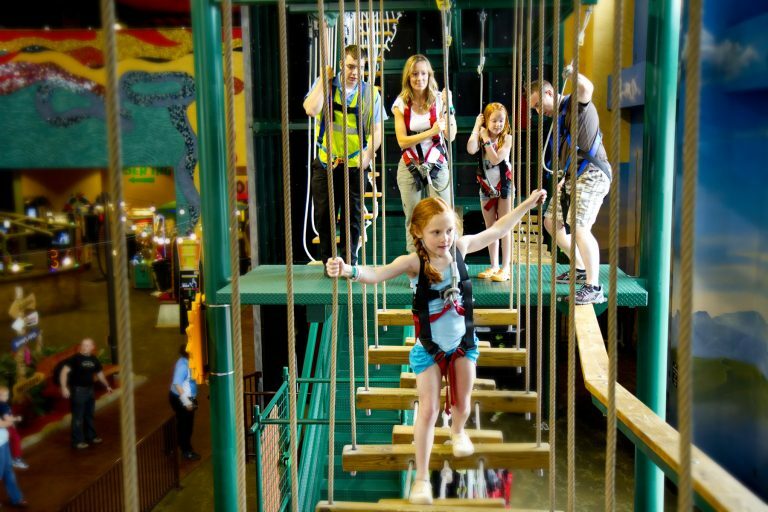 The Maximum Foolocity ride goes 50 ft. in the air – up, down and all around – inside Tom Foolerys Adventure Park. 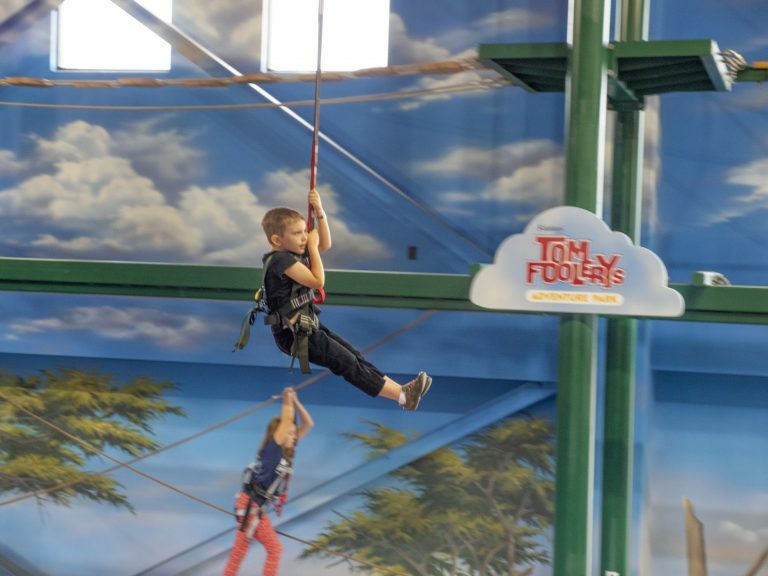 Guests soar through the sky on Tom Foolerys awesome new Toucan Zip Line.